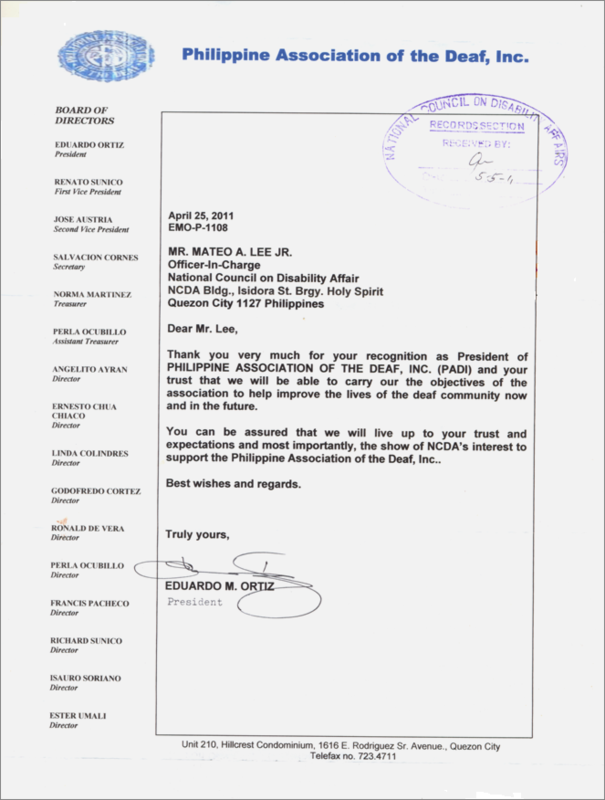 NCDA recognizes the Philippine Association of the Deaf, (PAD) Inc. as one of its partners in promoting and protecting the rights of persons with disabilities, particularly deaf citizens. After a long struggle with operational concerns, it is slowly but surely bouncing back. Philippine Association of the Deaf, Inc. is currently training law enforcers in 43 Police precincts and sub precincts of Quezon City, in the English version of Sign Language. At the same time, it is building its new office, geared to generate for their members work opportunities in agriculture and other business fields. See PAD’s letter of thanks.